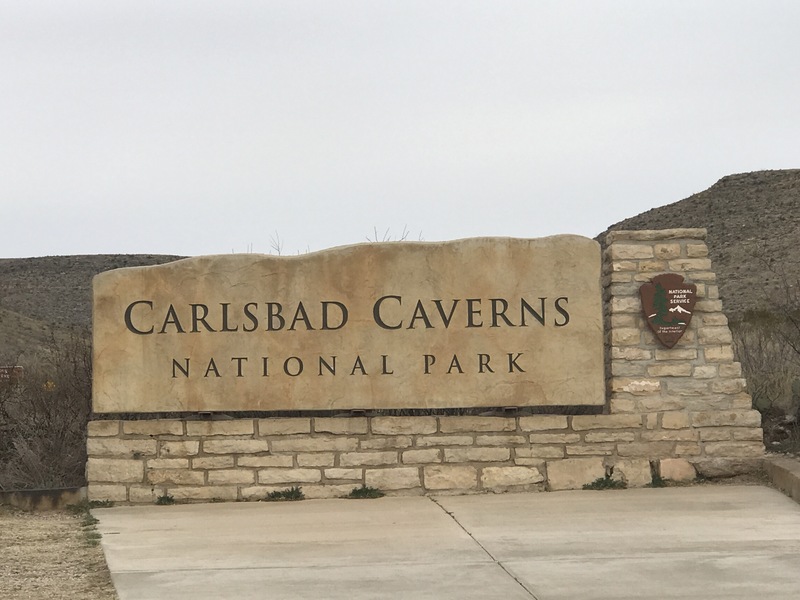 A 30 minute drive from Guadalupe Mountains National Park is Carlsbad Caverns. The caverns are part of the same anchient coral reef that was formed 260 million years ago. When the seas retreated, the reef was eventually covered with sediment. 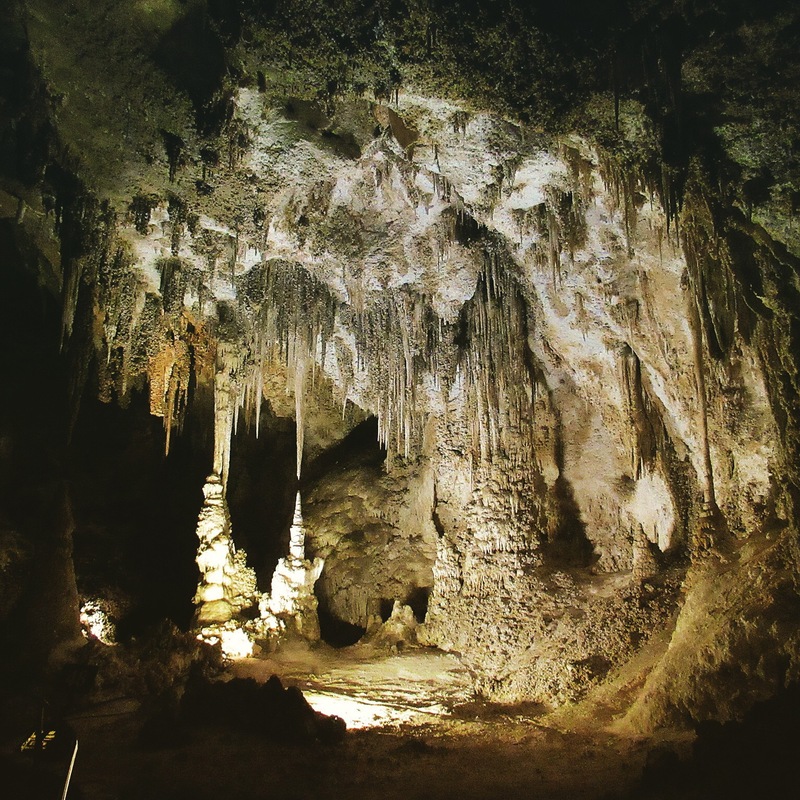 Techtonic forces over the last twenty million years have lifted the reef back to the service and erosion has helped uncover more of it during the formation of the Guadalupe Mountains, which Carlsbad Caverns lies under. 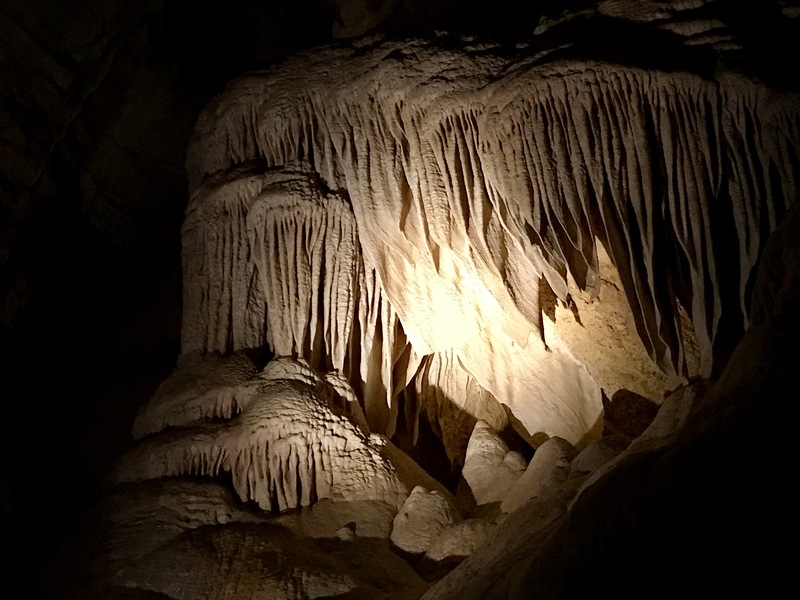 The limestone left behind by the coral reef was dissolved by naturally occurring sulfuric acid from petroleum deep under the surface, slowly forming the caverns about six million years ago. 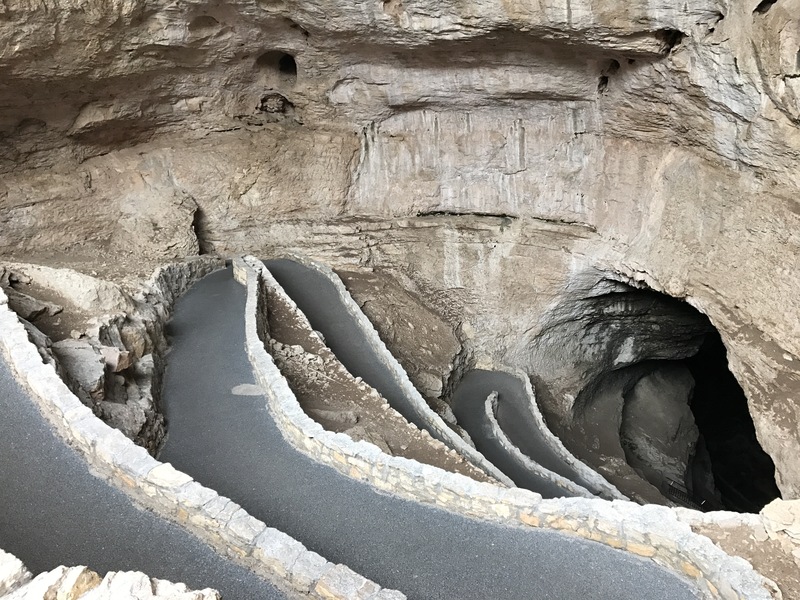 Most caves are formed by underground streams, making Carlsbad Caverns even more unique. We opted to hike 1.25 miles down 800 feet to the Big Room. While it was in the low 30s outside, the cave maintains a constant temperature of 56 degrees. For a long while we were the only people we could see and hear, and as we walked deeper I was struck at how quiet it was. We started seeing various cave formations, like the whale mouth. We took our time looking at the various cave formations, and we both enjoyed the walk down more than we had anticipated. Once we made it to the bottom, we walked the 1.25 mile loop through the Big Room. We spent about three hours in the cave, and decided to take the elevator up to the top because we were ready for lunch. Due to the sensitive cave ecosystem, we weren’t allowed to bring any food with us. After lunch, we drove to the nearby town of Carlsbad to restock our groceries. Afterwards we treated ourselves to a movie and dinner, then drove back to our our campsite in the Guadalupe Mountains. To our surprise about an inch of snow had fallen while we were gone! We shook off the tent, and crawled into our sleeping bags to warm-up. 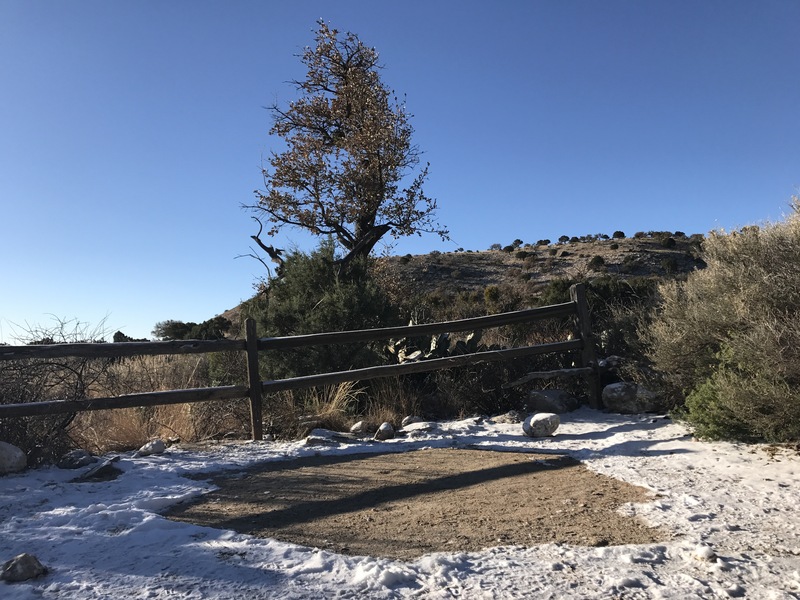 It helped to know that the next day we were headed for sunny and warm Tucson, Arizona.